Having worked with Volkan Yoltay on past commercial and residential construction projects, I am able to attest to his professionalism and exceptional performance. His attention to detail and responsiveness exceeded my expectations, and I look forward to another opportunity to work with him and his company in future. My company builds upscale townhomes and condominiums in the Richmond metropolitan area. For the past two plus years we have been using Volkan and his team to measure and install our granite tops. Our customers are typically affluent, highly educated and discerning. To date I have no knowledge of any issues with Volkan’s material or installations. In addition Volkan’s prices are extremely competitive and his service has been nothing short of outstanding. 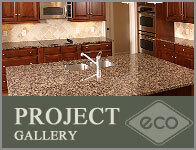 I highly recommend Volkan and Eco Marble & Granite. 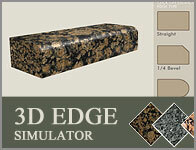 I am pleased to recommend Eco Marble & Granite to your company. Over the past several years, I have worked directly with Volkan Yoltay, manager of Eco Marble & Granite, on numerous single and multi-family projects. His service and attention to detail are top-notch and we have been pleased with the work he has provided for us. Having worked with Volkan on multiple project to date, all been completed on time and on budget. I recommend them with hesitation and will hire them again. Our company has worked with Volkan Yoltay on various renovation and new construction projects in Richmond, VA as well as Winston-Salem, NC. He and his company have installed granite countertops in both our student buildings and our luxury condominiums ranging from 10 to 85 units. He is always professional and does whatever it takes to get the job done well and in a timely fashion. Volkan and his staff come highly recommended for your granite needs not only for quality but for competitive pricing as well. 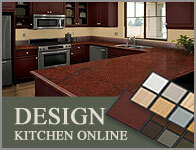 He has even installed granite tops in our personal homes.